What is a small room in an apartment, knows firsthand a very large number of families. All the old houses that were built during the Soviet era, have a tiny kitchenette. In this case, you have to paint the walls in light shades and hang blinds or shutters on the windows, trying to at least visually expand the space. But the real assistant in this business is compact folding furniture. Folding table can make everyone on their own, even without any experience. The main thing is to acquire the necessary materials, tools, desire and patience. Scheme of a folding folding table. A self-made table will help save money from the family budget, as it will cost much less than that purchased. 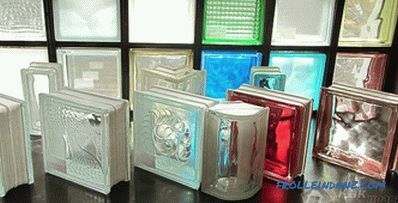 In addition, you can choose the right size for your room. The best option is to make a universal table that can be used under any circumstances. It can be built with two legs in the form of frames and a folding worktop for convenience and to save space. The proposed option will occupy a space at a height of 75 cm, a width of 60 cm, and a length of 28 cm. 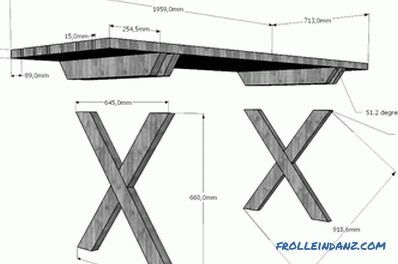 There is a table near the wall, which is attached to the supports made of wood or metal. When it is unfolded, you can get a surface for working at a computer or laptop, doing homework for a child. Also, this design can serve as a dining table in the kitchen, behind which a family of three can easily fit. 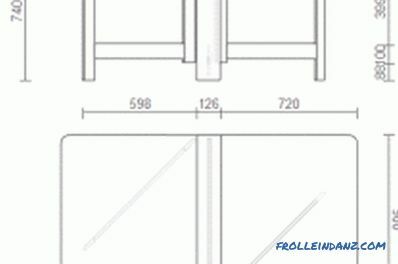 When making measurements of future folding furniture, you should pay attention that the length of the folding tabletop can not be greater than the height of the legs. After all, then you won't be able to fold it. 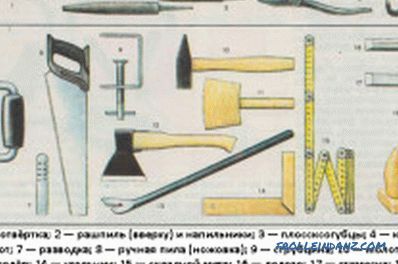 Tools for working with wood should be of good quality so as not to spoil the whole thing. 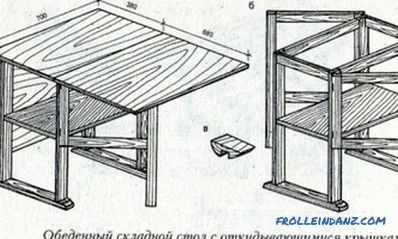 Drawing of a folding book table. The design of our product is quite simple. It is recommended to carry out the assembly work neatly, constantly checking the sketches. 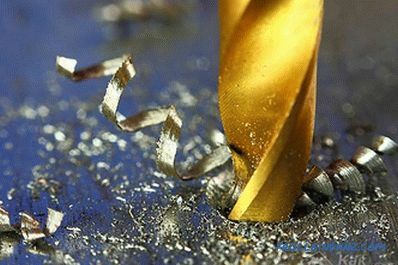 All holes that will be drilled by mistake, in the future significantly weaken the strength of wood. 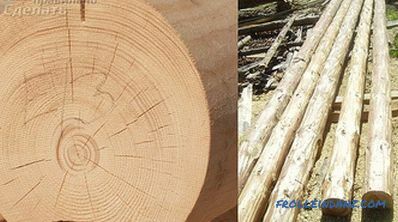 To begin with, it is necessary to drill openings for dowels in the ends of wooden bars for the support frames. In the horizontal position, the lower sticks are fastened to the vertical ones, raising 5 cm above the floor surface. Then we have a table with legs. Pour some glue into the gaps, then insert the parts themselves. Fold support for the table. After checking the frames diagonally, they can be pulled off with clamps for joinery and set aside until they are fully glued. After some time, the supports need to be interconnected along vertical ends with the help of short loops. At the same time we use not too long screws. Then on any of the vertical bars opposite to the joined ones, it is necessary to fasten the jamb of 72 * 2 * 2 cm in size. Its main function will be the folding of the supports. Attach the other end of the plank to the wall. Using level, we make measurement of a place under support. In the process of folding the table between them should be placed frames that serve our product legs. Screw supports to the surface of the wall. A table with rounded edges looks more original. For a smooth and accurate cut of the board under the tabletop, you can use an ordinary lid from the pan. Two semicircles we saw out using an electric jigsaw. Then we rub the edges with sandpaper.The resulting tabletop should be cut in width into two parts. The piece that is attached to the wall should be small. The main part of the table top will be folded in case of need. This case should be approached very responsibly and carefully check all measurements. The quality of your work will depend on the appearance of your table. Ideally smooth edges after cutting should be carefully polished with emery paper. The recommended size of a small part is 60 * 25 cm. It will hold a large tabletop. Table legs will also hide under it. Both parts will be held on piano loops. A small part must be placed on the supports near the wall and screwed on the front side. Then we proceed to laying a large part of the tabletop. First you need to fully expand the supports. They should not be longer than the surface of the table. The movable part fits on the frame and is screwed to the stationary hinges. Screw the stoppers to the underside of the table top, which will prevent spontaneous folding. 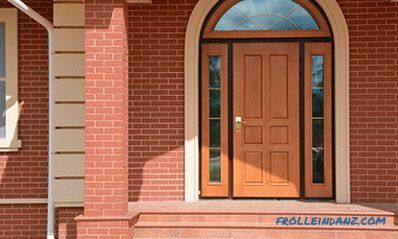 Before varnishing and painting, check the functionality of our product. We fold the support frames under the stationary part and lower the table top. Now you are the owner of a compact folding table 28 cm long. With the help of a decorative adhesive film, you can make it not only functional, but also a beautiful piece of furniture.